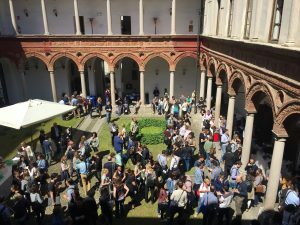 With 340 participants the ENCALS meeting Milan 2016 was the largest in its history. The ENCALS board would like to thank Prof. Silani and his team for the excellent organization of this 14th ENCALS meeting. 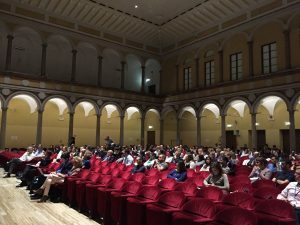 The ENCALS meeting 2016 was hosted in the beautiful lecture hall of the central campus of the University Milan. The 2016 ENCALS Young Investigator Award has been awarded to Francesco Pagnini for his work on mindfulness. Pagnini is Assistant Professor at the Catholic University of Milan. The chair of the prize committee, Prof. Ammar Al Chalabi, congratulated Pagnini with his important contribution to a better understanding of when and how we can help patients to cope with their devastating disease. Dorothée Doorman from Munchen, and Peter Bedefrom Dublin, were acknowledged as Silver medallists for the ENCALS Young Investigator Award 2016. 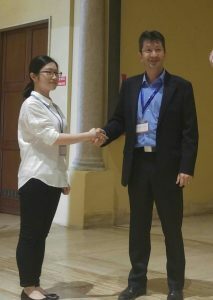 Many young PhD students and post docs presented their research allowing for exchange of ideas with top international investigators. 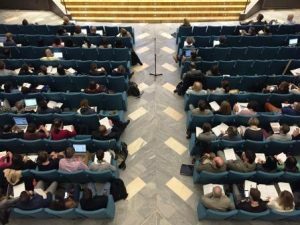 Additionally, two poster sessions provided ample opportunity to share new ideas and discuss the exciting developments in the field. 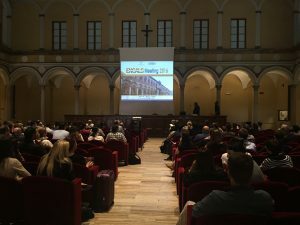 The 2016 ENCALS meeting Milan was a great success with 41 oral presentations, 135 poster presentations and many opportunities for young researchers to enhance their network and collaborations. 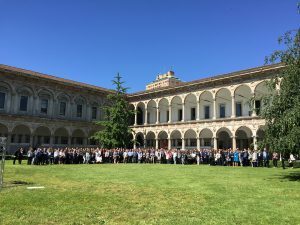 A report of this meeting in Milan is also available on the MND research blog of the UK MND Association.